Dion Finocchiaro has been training with Melbourne Pack since December 2016. 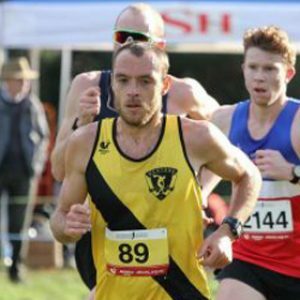 An accomplished distance runner even before joining Melbourne Pack, Dion represented Australia at the 100km World Championships, and finished second overall and first Australian at the 2015 Wings For Life World Run (completing 68km at with an average of 5.57/km). Have your performances improved since joining Melbourne Pack? “I would say yes. While my times aren’t super impressive yet, I know that the runs where I run well feel easier than they ever have before. My next marathon will definitely be the next test of my training. I have never been running so well as what I am right now! Do you have a profession? Many runners love recording their workouts on STRAVA these days. Your profile on Strava says that you are a running coach, but you have your OWN running coach. What are the advantages of having a coach? You are renowned for being a tough man of running with a Never Say Die attitude. Where did that come from? Total weekly mileage = 180-200km. Last week was 233km! What is it like having Sean Williams as a running coach? Any suggestions for people thinking of joining Melbourne Pack? To contact Dion, give him a ring on 0407-542-069.